I recently arrived back from my first trip to Ethiopia and felt to tell you about my day with AWSAD. After all, the life-changing work I have just witnessed is only possible because of you. 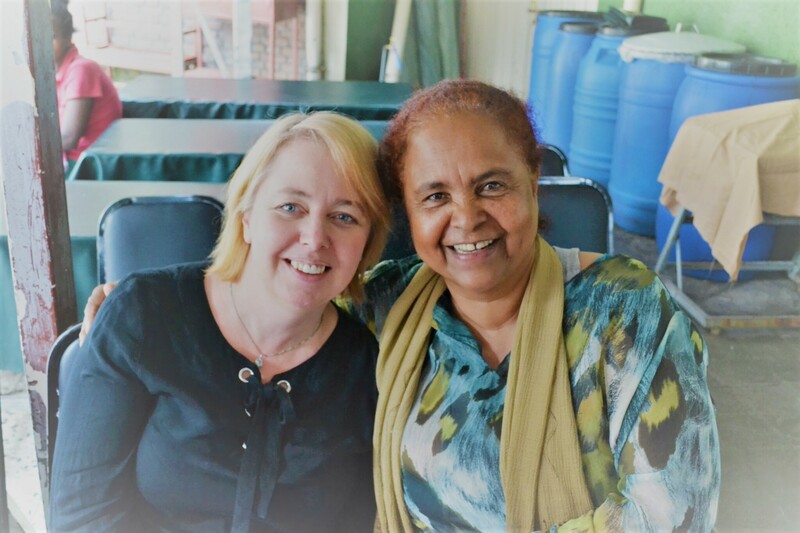 In Addis Ababa, I was greeted warmly by Maria, the founder of the Association for Women’s Sanctuary Development (AWSAD), who run safe houses for women and girls who have experienced sexual or physical violence. Maria is the one who has taken in and cared for young Ayana and Fatuma, whose story you can read here. Her warmth, compassion and determination to help these girls radiates from her. She is truly a remarkable woman. I picked a good day to visit — it was graduation day for girls who successfully completed a hairdressing and beauty course! We celebrated in true Ethiopian style, with dancing and smiles and laughter. The joy was infectious. But despite the celebration, I felt a knot in my stomach looking at all the girls, dancing and singing, and knowing there was one thing that brought them together: all had suffered horrific abuse. The young girl with the missing eye; her friend with a scar down one side of her face. With a jolt, I realised that girl who was heavily pregnant would be around the same age as my daughter — who has just finished Grade 7. My trip was incredible eye-opening and an experience I’ll never forget. Not only has it made me see firsthand what an incredible difference your support has made to girls in Ethiopia who have experienced incomprehensible horrors; it has steeled my resolve even more to keep going. For these girls, we must keep going.